Mystery Lovers' Kitchen: The neighborly thing to do...egg nog quick bread! The neighborly thing to do...egg nog quick bread! symbol of the spirit of the season. tightly and store in refrigerator. *Tip: It looks smashing wrapped in red cellophane with a big old bow slapped on it! Available in just 17 days!!! Holy Smokin' Rockets...this sounds so wonderful, Jenn! I will be making this tomorrow for sure. I have always loved loved loved egg nog but as the years go one my body doesn't share my love for it ;-) I'm going to try a loaf with brandy as well...instead of the rum extract...wonder how that will taste? Thank you for all your yummy recipes this year. I wish you and your family a blessed Christmas and a joy filled New Year. 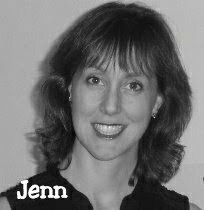 Jenn, sounds yummy! 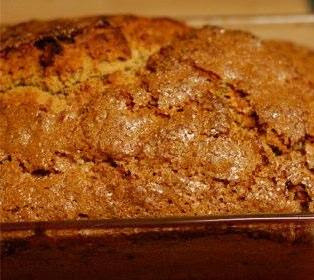 I love quick breads and egg nog is a perfect addition for flavor. I love big old red bows!!! Your lucky neighbor! This recipe is a keeper, for sure! new and different ways to use it. Thanks for the kind words, Nanc, it's been a fun year! Are they any adjustments to make for high altitudes? Yay, I'm finally getting to post again to Blogger! Hi everyone!Seems I had gremlins(ie. DH) haunting my PC, but I redid the settings & am so glad to be able to comment again on all the delicious recipes! Jenn, I'm always looking for new ways to use eggnog. This looks like a keeper. Thanks, & Happy Holidays!